We have never done scary witches as such but both my kids loved Winnie the Witch and the witch from Room on the Broom. They always liked a friendly witch, one who would make funny mistakes. 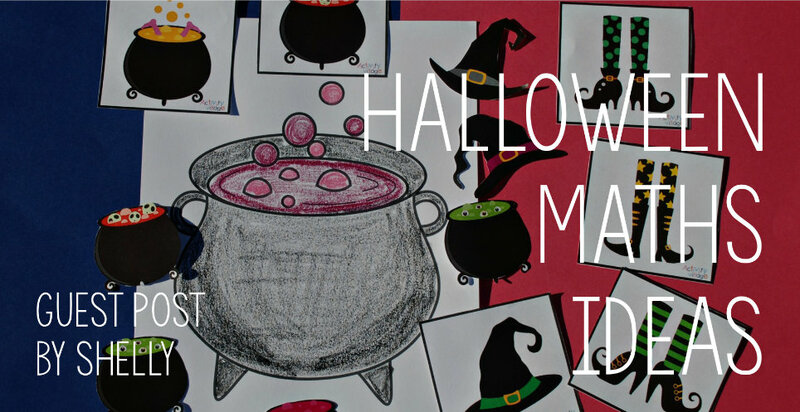 So when they were a lot younger we did some “witchy maths” and when I saw some of the new Halloween printouts I was immediately reminded of our witchy maths sessions and thought I would share some ideas. Practicing basic counting and number matching always seemed like fun when the kids get to use fun items. We like the idea of matching the correct number of hats to the correct number. And you could also go for adding the correct amount of ingredients to the cauldron. The smaller cauldrons work well with craft beads and small craft pom-poms. I really believe that the earlier you introduce the concept of a story sum the less intimidating it is when they are older and I think the witch’s hats and cauldrons could work really well for this. You could draw a simple table or cupboard (and I really do mean simple - when I did this with my daughter she tried to copy the drawings I did and I found that if I kept my drawings simple she would have success with her drawings and end up being encouraged to try more). The idea of story sums also works really well with the witch’s cauldron. You can keep it simple and just say you have already added 2 ingredients and need to add 3 more - how many are there now ? Or, if you have a child like my son you can add a bit of flair – the witch has already added 2 frog’s legs to the cauldron and now wants to add in 3 juicy worms – how many ingredients is that in total? If you feel like laminating the pages then water beads work really well as ingredients for a cauldron – my son told me they felt sticky like real witch’s ingredients would feel. For older children, the witch’s feet are perfect for counting in 2’s. It can be simply matching the correct number of feet to the correct number. (Great for creating your own home-made counting in 2’s poster). And once they have understood counting in 2’s you can introduce the two times table.